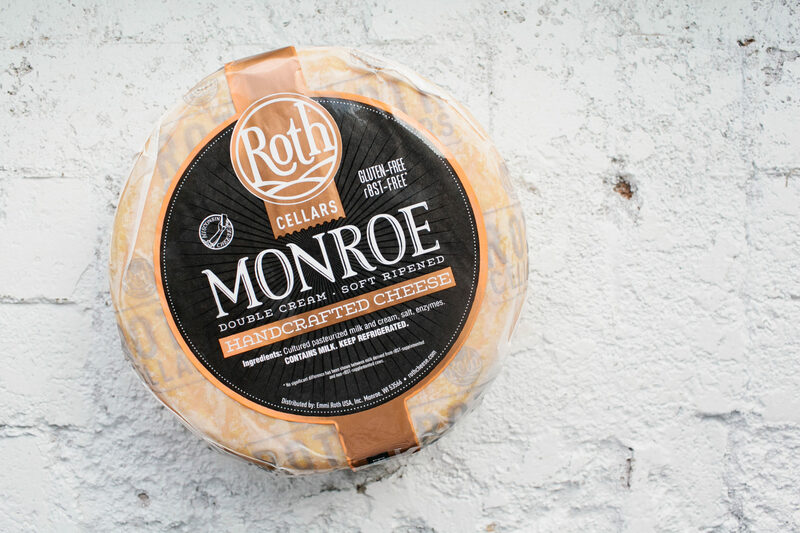 MONROE, Wisconsin – Experts in creating award-winning washed-rind cheese, the cheesemakers at Roth® have introduced a new limited production soft-ripened cheese dubbed Monroe, a nod to the town Roth was founded in more than 25 years ago. Made in approximately 1.6 lb wheels, the limited production cheese is smeared and turned by hand every day as it ages for 30 days in cellars adjacent to Roth’s celebrated and award-winning Grand Cru® alpine-style cheeses. But, Monroe has people turning heads for more than just its uniqueness. At its debut at the 2017 World Cheese Awards, the cheese took home a Bronze Medal and at the 2018 World Cheese Championship, it scored a whopping 99.45 points in its category. Roth® Monroe is now available for retailers in limited quantities. Learn more at rothcheese.com. Roth® cheeses are made using the freshest, local Wisconsin milk. We make traditional cheeses inspired by our Swiss heritage, like Grand Cru®, innovative Wisconsin originals such as Roth Prairie Sunset® and Roth GranQueso®, and everyday favorites like Buttermilk Blue®, Havarti and Gouda. We have earned top awards for our cheese from national and international competitions, including the title of World Champion at the 2016 World Championship Cheese Contest for Roth Grand Cru® Surchoix. Learn more at rothcheese.com.